I absolutely love the holidays, just hate all the carb-loaded foods I inhale, from cookies, tortillas, potatoes, dinner rolls, pan dulce, and sugar-laden dessert after dessert. Don’t even get me started on the egg nog! The Mashed Cauliflower with Roasted Garlic is creamy, smooth, and rich in flavor with roasted garlic, cream cheese and fresh rosemary. Place the cauliflower on the baking pan and drizzle olive oil over the florets. Sprinkle with salt and pepper. Bake for 20 minutes, turning the florets over at the half way mark. Place the garlic cloves on a small tin pie pan. Drizzle with olive oil and salt and pepper. Cover with foil and bake for 40 minutes. Let the garlic cool a bit in order to squeeze out the goodness without getting burned. 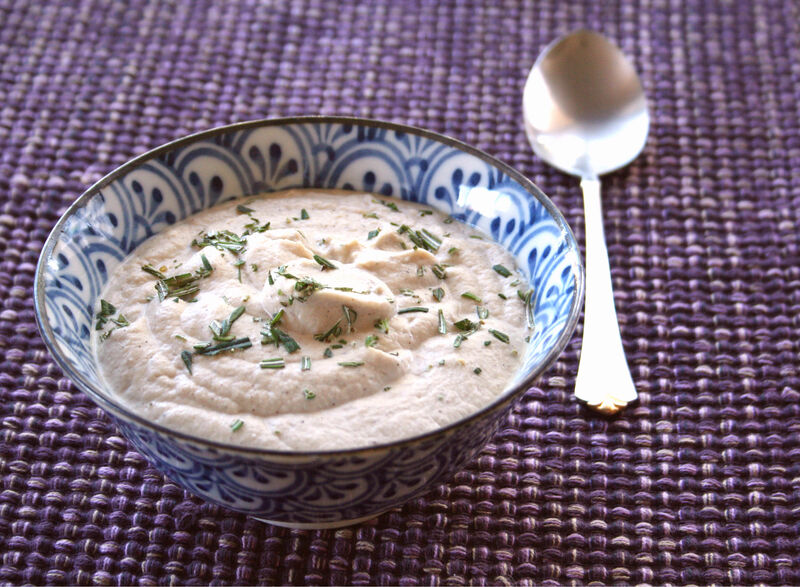 In a blender or food processor, add the cauliflower, garlic, heavy cream, butter, cream cheese, salt and pepper. Process until smooth. Taste and add additional salt/pepper if needed. Transfer to a serving bowl and garnish with the chopped rosemary. NOTE — Make sure that the cauliflower is very tender – otherwise it will not blend as smoothly and you won’t have a creamy consistency. Mashing the cauliflower by hand will not give you that same creaminess.